A struggling DC United team might be just what the doctor ordered for the Union, who seemed a little out of sorts themselves in their first time out. In two games this season, DC have failed to score a single goal and have already conceded 6, including a 4-0 thrashing at the hands of Kansas City. They were also the victim of two late goals in being shut out by New England last week. Players Brought In: One of the most important new faces for United may not be a player, but rather head coach Curt Analfo. Analfo was brought back to United where he coached in the early stages of the club and MLS after stints as an assistant with the national team and a head coaching position in Kansas City. Goalkeeper Troy Perkins was also brought back to the club, when DC traded Fred to the Union for the first pick in the SuperDraft, he had previously been playing in Norway. Australian international striker Danny Allsopp was brought in to help with the goal scoring and Salvadorian winger Christian Castillo is on loan from Mexican side Leon. Players Departed: Fred came to the Union in the trade for the team’s position in the SuperDraft. The Brazilian was disappointing for large parts of 2009, but showed flashes of brilliance. Striker Luciano Emilio was not offered the contract he was looking for and left to play in his native Brazil, and has mostly recently been linked to joining the Union. Team leader and fan favorite Ben Olson was forced into early retirement due to reoccurring ankle problems. What to Look For and Who to Watch: United will most likely line up in a 4-4-2 with veteran Jamie Moreno and Chris Pontius being the two up top. The service should come from Castillo working down the left, but also Santino Quaranta will be counted on to move the ball through the center. Perkins is solid in the goal, having been MLS Goalkeeper of the Year in 2006. Dejan Jakovic will anchor the center of the defense, most likely joined by Carey Talley. Do look for the Union to create some chances on both the counter and (hopefully) through the run of play. 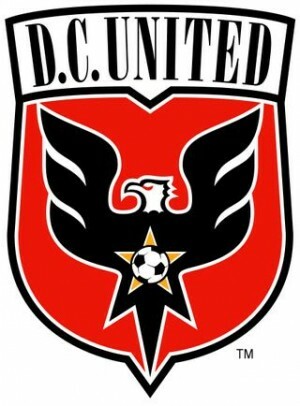 DC has not looked particularly dangerous coming forward in either game this season, so with any luck the home support will spur the Union into finding the net in their first home game.